I'll just be honest here. 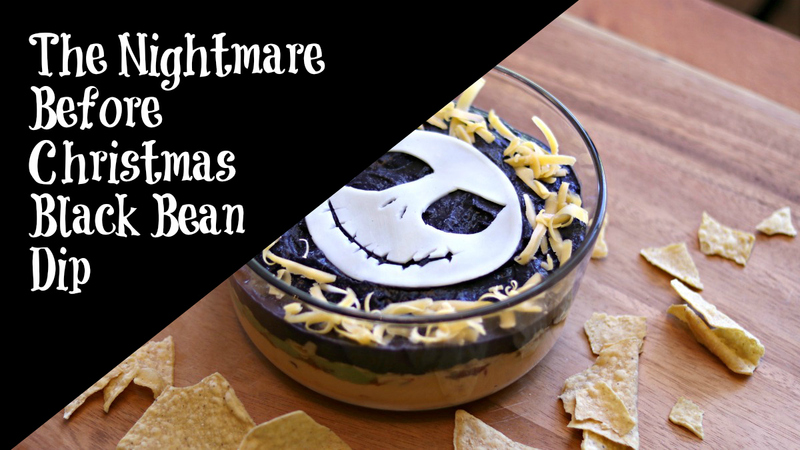 In our house we have gone through a few bowls of this dip because this Disney's The Nightmare Before Christmas Black Bean Dip is so good. I wish that we would have put together enough that it actually would have made it all the way to a party, but we have failed in that goal. However, if you have more self control than us, this Jack Skellington appetizer would be great for a Halloween get together! You only need a few ingredients and a couple minutes to put this together. Below is the list of ingredients and you can watch the short video to see the instructions. Have fun this holiday season and whether you make this for Halloween or Christmas this is sure to be a hit! Ingredients: One can black beans, black food coloring, one jar queso, one medium size container guacamole, grape tomatoes, green onions, shredded cheddar cheese, slice of provolone cheese.